I haz a visiting Shifty! Grant is visiting from the US. It's his first time out of North America and everything here is very very strange. He first got confused on the bus back from Heathrow because of how twisty the streets were, compared to the grid patterns that he's used to. "It's like driving around a Paisley!" he said. We have done various things, including cuddling, eating, playing Elder Scrolls Online (Grant is such a nerd that he brought his non-laptop computer. Yes, a mini tower) and looking at museums and other such tourist "attractions". I will write more about that when it's not 3 am and we're not supposed to be up in the morning. I'm sure that what you actually want to see are the pictures of us loving each other. A couple of days after Grant arrived, in our house. Picture taken by Richard. 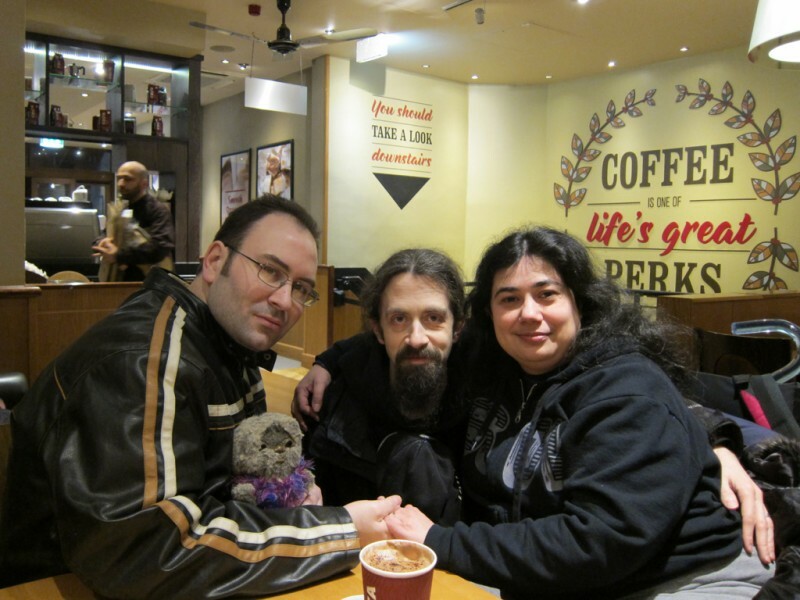 In Costa on Argyll Street last Friday (12th Feb). Picture taken by Peter. In bed last night (16th Feb). 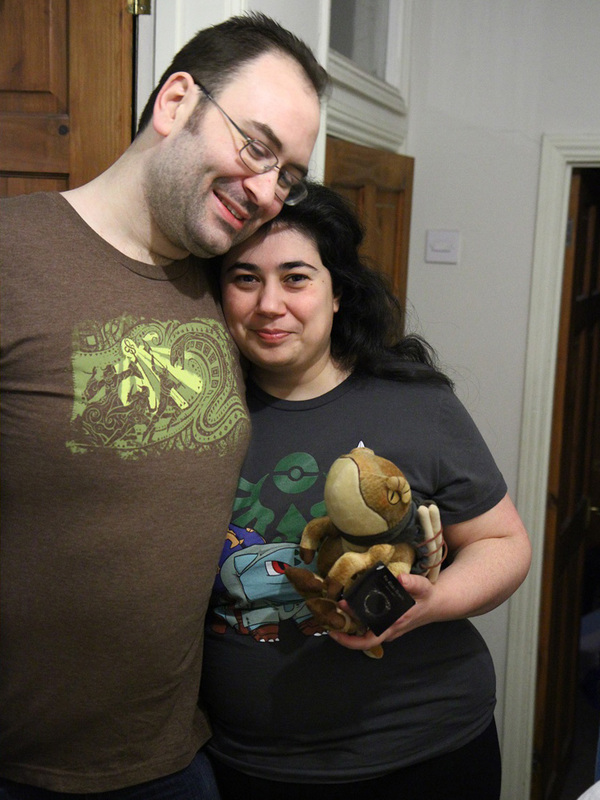 Picture taken by Richard via a tripod and remote! Yay! There is much happiness showing in these photos. Excellent. Happiness is a thing that should happen more. Thanks for sharing. Lovely photos.